OLD PARKED CARS. 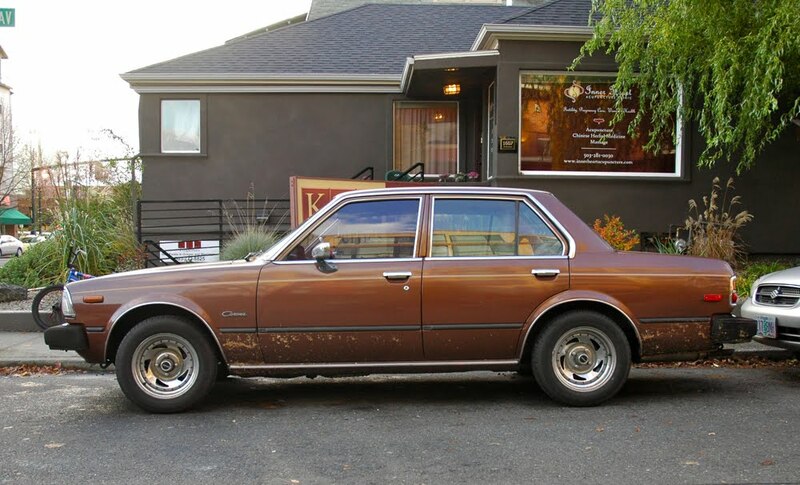 : Saturday Bonus: 1979 Toyota Corona Luxury Edition. 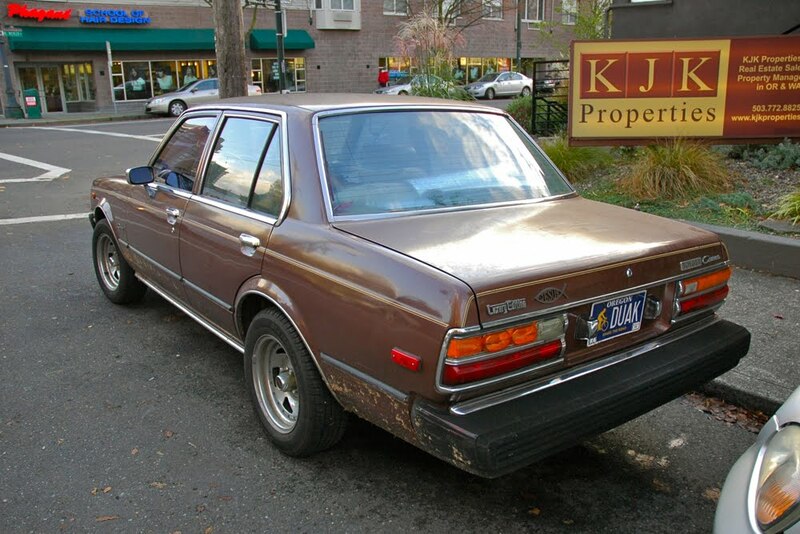 Saturday Bonus: 1979 Toyota Corona Luxury Edition. Tan on brown pinstripes... my favorite! i think those muscly wheels look great, and has it been lowered a touch? 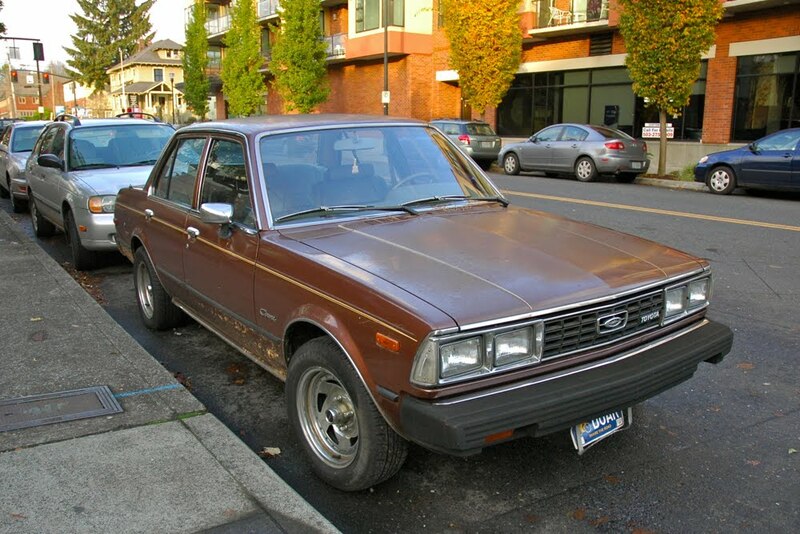 i want a brown car so bad. Those muscle rims were very popular on Broncos/K-5 Blazers back in the 80's-early 90's. I'd rather see some slotmags, haha.